In a grouped rhythm, there may be repeating patterns where several beats are grouped together, separated by a gap. Grouped rhythms can include second degree AV blocks (type I or II), SA blocks (Second degree type II), ectopic beats, bigeminy or trigeminy. This ECG is from a woman in her 60s who presented with palpitations on a background of paroxysmal AF. This ECG is from a man in his 50s who presented with acute chest pain. He had a history of hypertension and 40 pack years of smoking. 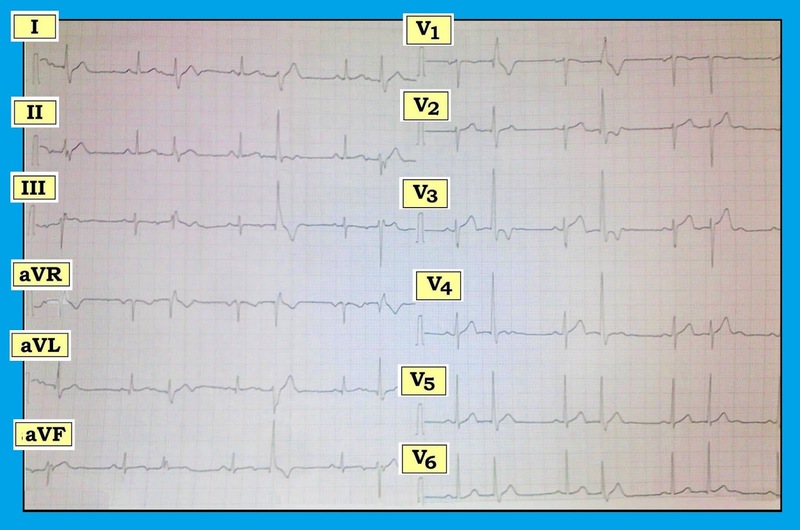 ECG Blog #140 – (PVC – Atrial Bigeminy – PAC – LAHB – RBBB – LPHB – Aberration).